Spring is just around the corner and I’m so ready to start wearing flats again. But not just any ol’ flats, I want some that stand out and that show some attitude. I found a pair from Bluefly that I just simply adore. Like Sophie, I am also a HUGE fan of studs because you can dress up or down with the look. 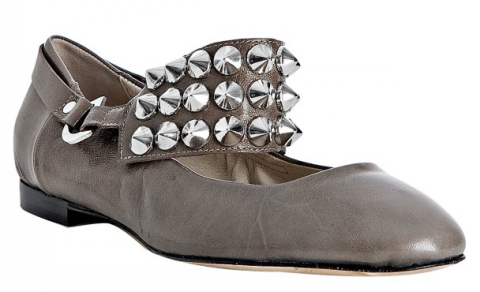 These Be&D studded leather flats are exactly what I want, studded is so me! What do you think? 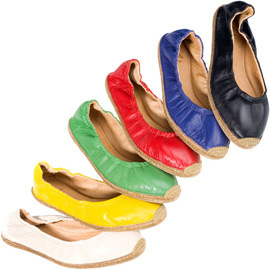 If bold colors aren’t your thing you may find that you love these metallic leather flats. 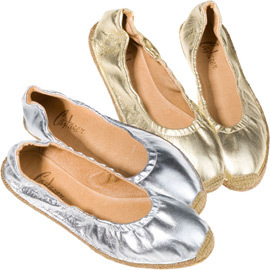 Also from Castaner, the Foiled Leather Flat Espadrille are high quality flats will look great this fall in either silver or gold. 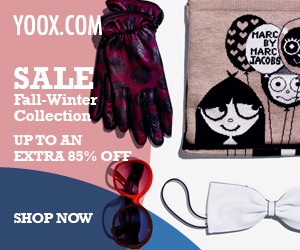 Add some beautiful shimmer to your fall wardrobe with these lovely shoes for only $118 (60% percent off).